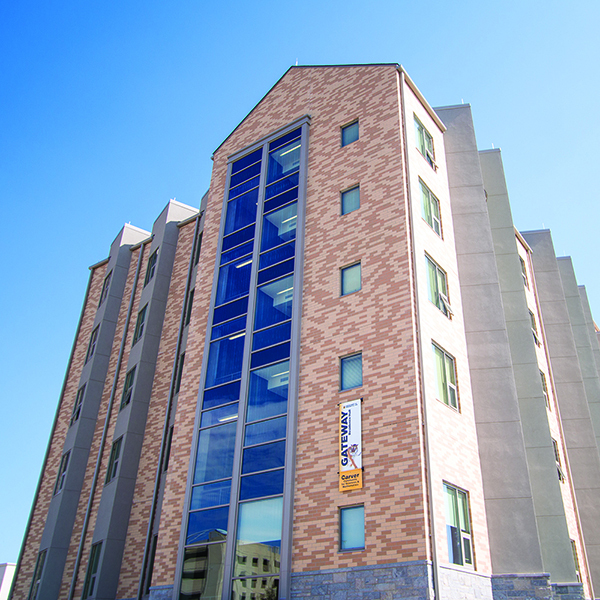 Beginning in fall 2019, more than 83 percent of students will save money on housing and dining compared to the previous year. Our new budget-friendly housing option will run just $667 a month. 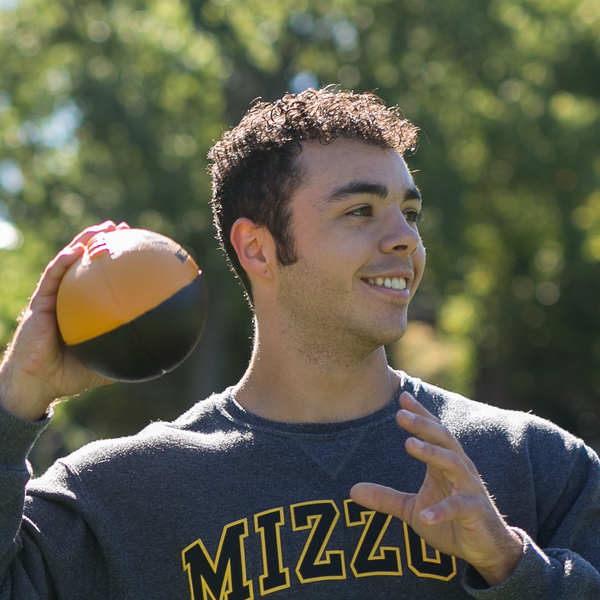 At Mizzou, we believe that your living experience should be catered to your interests and ambitions. When you live with us you will receive all-inclusive rates, more independence, academically-flexible contracts and optional dining plans. 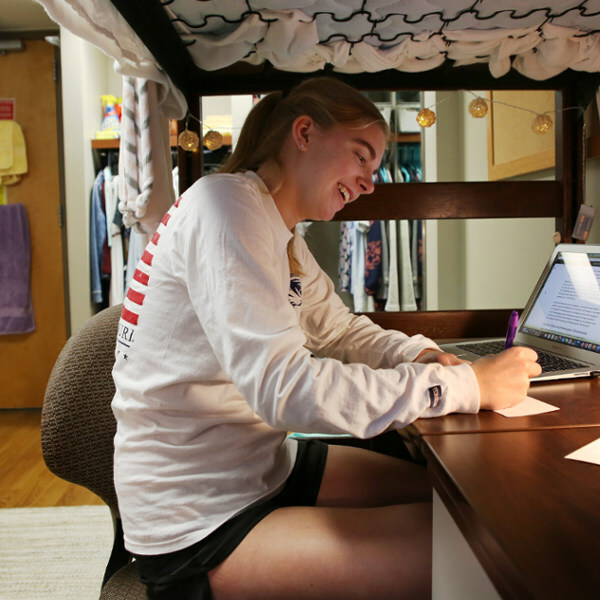 University policy requires freshmen to live in Residential Life residence halls. As part of a living and learning community, you will meet students with similar interests, build lifelong friendships and get the support you need to succeed academically — all in the hall where you live. 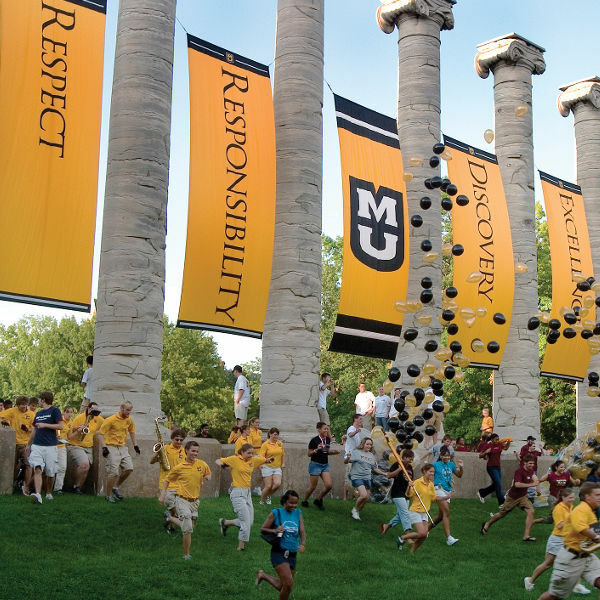 Mizzou residence halls are purposefully designed to foster a sense of community — beautiful, functional, energy-efficient spaces in which to live, learn and thrive. 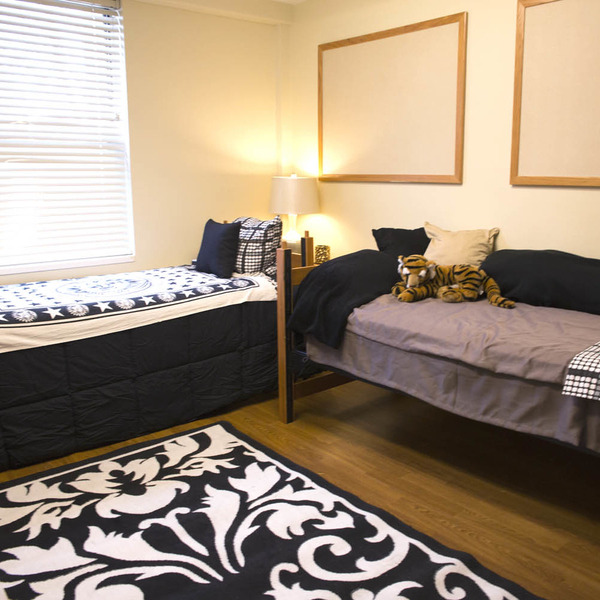 Mizzou residence halls are clean, secure and equipped with modern amenities, such as Wi-Fi and unlimited access to laundry facilities. Singles, doubles, triples and suites available, all furnished with beds, desks and more.